Would You Wear… Designer Temporary Tattoos? Most of us had our fair share of experiences with temporary tattoos as children. I have vivid memories of rushing home from the quarter machine at the mall to stick on my brand new Transformers or Barbie tattoo (which would usually show up on my skin only half the time). Now, thanks to numerous fashion designers, temporary tattoos are back again – except this time, they’re for adults. 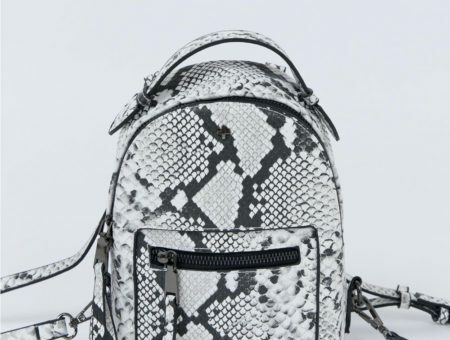 Over the past year, designers such as Rodarte, Jean Paul Gaultier, Betsey Johnson, and Chanel have launched their own transfer-on tattoo lines. Also, Beyonce recently introduced a line of exclusive body art under her Dereon label (pictured above). 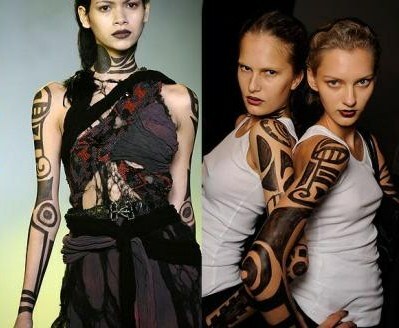 Designer body art is a simple way to drastically change your look without commitment. These fun and funky tattoos act as an accessory to your outfit that you can change whenever you wish, unlike a permanent tattoo. Some designers, such as Rodarte and Jean Paul Gaultier, created strong tribal-style tattoos for a powerful effect, while Chanel’s range includes dainty pieces that look like jewelry and make viewers wonder whether they are even tattoos. 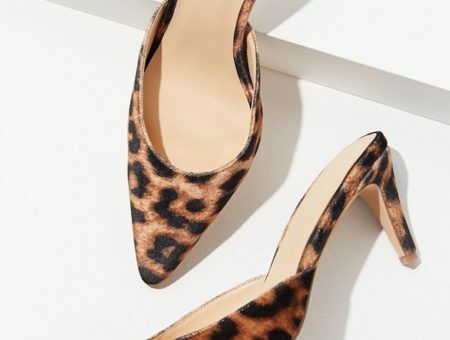 One of the most appealing aspects of this form of accessory is its (relatively) small price tag – now any girl can own ninety five Betsey Johnson pieces for $25 or fifty five Chanel accessories for $78. If you can’t afford real designer clothing, these designer tattoos deliver a unique way to own a piece of your favorite label! On the other hand, a temporary accessory that only lasts a week or so might not be the most practical way to spend your money. What do you think – would you wear designer temporary tattoos? Now that you’ve learned about this trend, I want to know what you think. Do you think these tattoos are a fun way to change up your look? Is the price tag too high for something so short-lived or too low for a designer purchase? Would you wear a simple Chanel “bracelet” tattoo like Lauren Conrad or cover your arms in them like Beyonce? Leave a comment and tell us your thoughts! Tags : Accessories, Chanel, Jean Paul Gaultier, Lauren Conrad, Rodarte, Temporary Tattoos, Would You Wear? Previous Would You Wear… a Lace Sweater?